ADS Judge Shalini Singh Nagpal has initiated a criminal trial and written to CJM to proceed against the ‘victim’ under Section 211 and 193 of the IPC and Section 340 of the CrPC. A maximum seven-year RI can be awarded for the offences. In an unprecedented judgment, a local court has suo motu initiated a trial against a ‘gangrape victim’ for not only registering a false complaint, but also for furnishing false evidence and also on charges of perjury. ‘Shamelessly resorting to unethical means for achieving immoral goals’, she ‘spoke falsehood,’ the court ruled, which resulted in ‘ordeal of criminal prosecution’ of former chairman of NRI Sabha and Mohali resident Amarjeet Singh Virk, his wife and son. So much so, that the trio remained behind bars for nearly a year facing gangrape trial. Taking suo motu notice, ADS Judge Shalini Singh Nagpal has initiated a criminal trial and written to CJM to proceed against the ‘victim’ under Section 211 and 193 of the IPC and Section 340 of the CrPC. A maximum seven-year RI can be awarded for the offences. Also in the dock is the investigating officer, SI Hari Om. Strongly deprecating the investigation, the court has directed IG and SSP of Chandigarh Police to take suitable action against Om. In its judgment, the court recorded its shock and disgust over the deliberate attempt by the police to mislead the Court. Last month, the court acquitted Virk, his wife and son of charges of gangrape. The copy of the judgment was made available on Saturday. It is pertinent to mention that the ‘victim’ never alleged that Virk, his wife and son raped her. 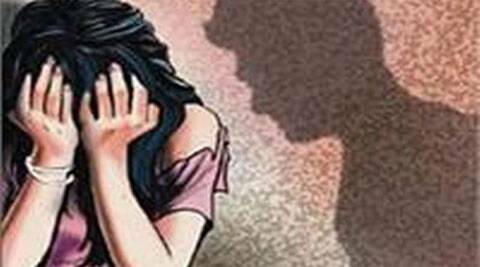 But she had alleged that an unknown person had raped her at the behest of Virk in Sector 68, Mohali on July 13, 2011. “The identity of the ‘accused’ is not disclosed anywhere, neither in the affidavit of the prosecutrix nor in her statement. Even physical description of the main culprit was never described,” reads the judgment. Slamming the investigating officer, Nagpal ruled, “He took no steps to identity the accused.” In order to falsely implicate Virk and her family, the victim inflicted injury marks on her body. She also gave wrong details in her initial complaint.